Givenchy is taking over the fashion world again with its Spring Summer 2017 Ad Campaign. 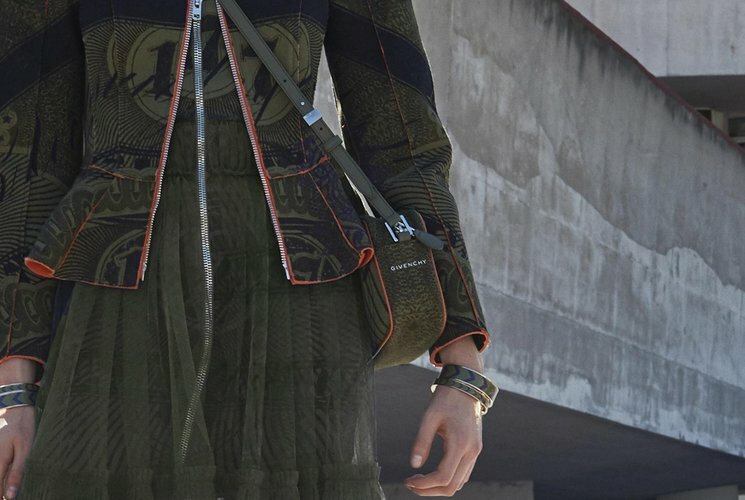 As usual, Givenchy never fails to impress but this particular ad campaign is unlike any other for it features different takes on fashion whether it be monochromatic, denim, printed, or textured and the like. 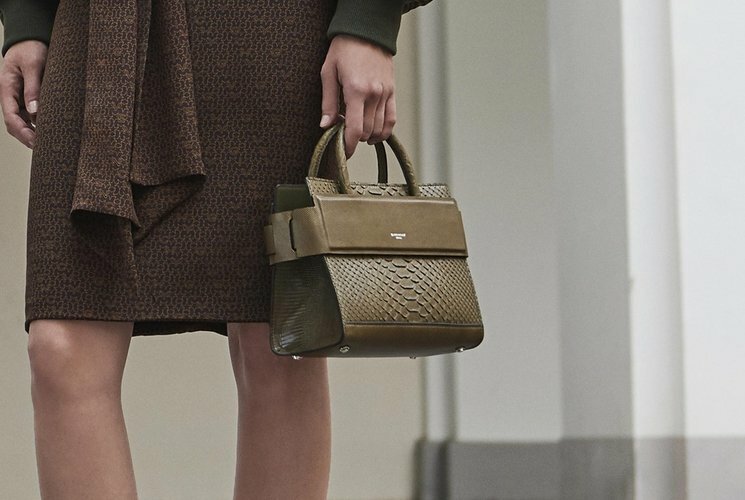 With a huge selection, there’s one particular bag that caught our attention. 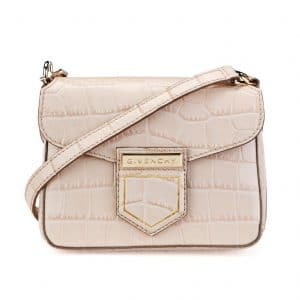 Ladies, come take a look at the Givenchy Horizon Bag. Crafted with the finest and smoothest leather, the Horizon small bag is especially styled at front and back with self-panels that interlace at sides. It also has a silver-stamped logo at front and logo-etched hardware making it all the more adorable. It features gusseted sides, rolled leather handles, flat leather strap, polished silver tone hardware, protective metal feet, and a back panel secures with snap. 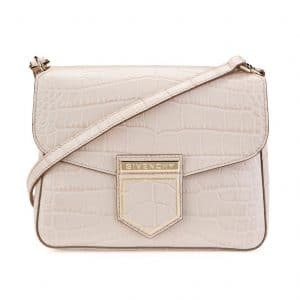 For easy access, it has an open top making it an ideal go-to bag. Looking inside, it has a slip pocket, gusseted snap patch pocket, and a zip pocket at interior. 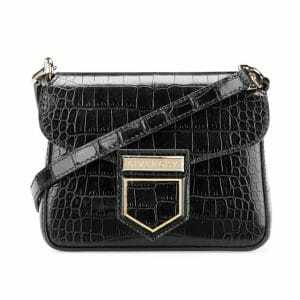 Measuring 9” x 11” x 4.5” inches (H x W x D) and is priced $2490 USD via Givenchy boutiques. 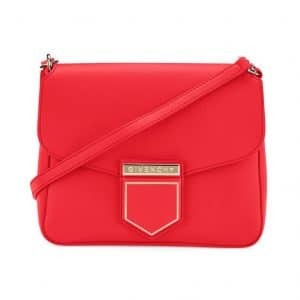 This new Givenchy Nobile Bag is painting the town red and why not? A very elegant and chic bag to have around, this little scene-stealer is just the right amount of accessory you’ll be needing. 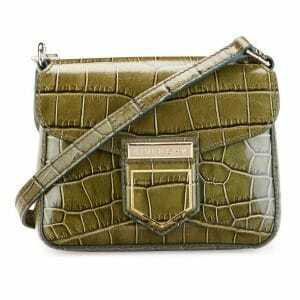 The beautiful front flap magnetic closure is the high light of this bag aside from its crocodile embossed pattern. 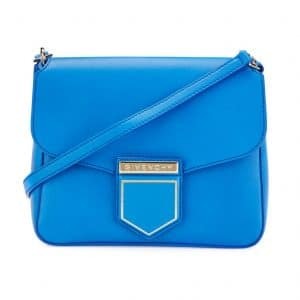 This attention-grabber also has a detachable, adjustable leather shoulder strap making its transition a piece of cake from being a shoulder bag to being a pretty clutch. Made from gold colored metal hardware and 100% calf leather, this bag is the next best thing to own. And why not give it to yourself as a reward from all your hard work this year? Trust us, it’s worth the splurge! It also has a one internal zip pocket for organized storage. Measuring 19 x 25 x 7 (H x W x D) cm and is priced $1650 USD, €1150 euro, £1075 GBP, $2445 SGD, $2245 CAD, $2500 AUD, ¥150001 JPY via Luisaviaroma e-store. 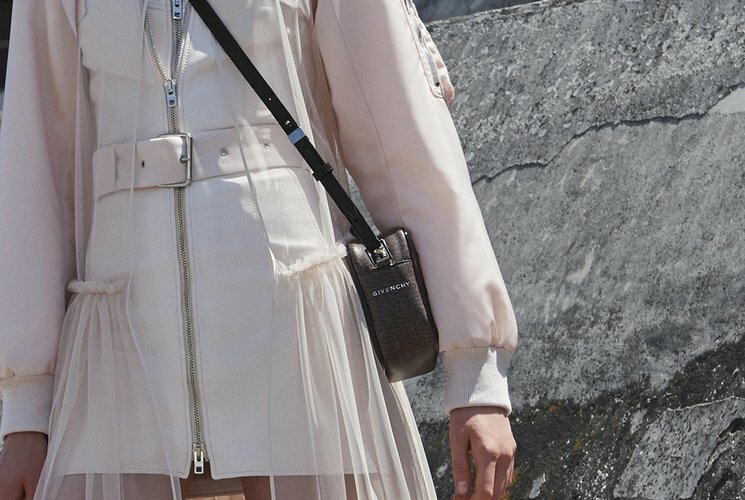 It may be the holiday season right now, but brands are already looking forward to spring, and that means that we've got our eye on how new collections are going, too.Resort 2017 bag pre-orders have been popping up at our favorite online retailers for about a month now, and designers like Chanel and Dior have released their online lookbooks to get shoppers ready for the new collections. 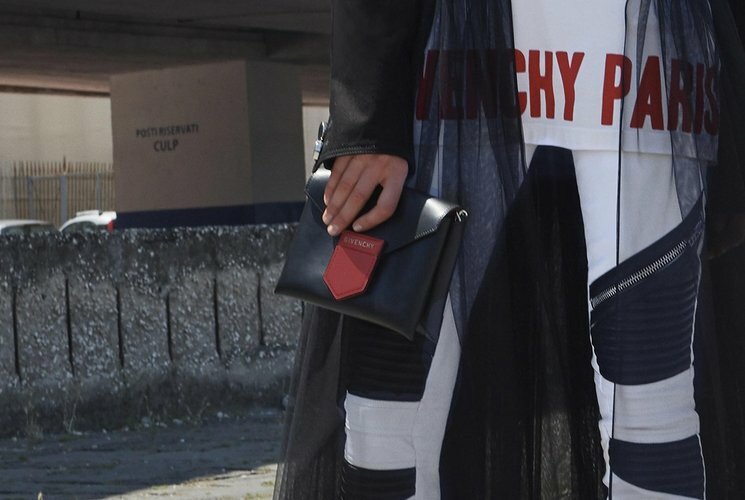 Today, Givenchy joins their ranks with an in-depth look at Spring 2017 (which is what the brand calls resort), and we have all the photos. 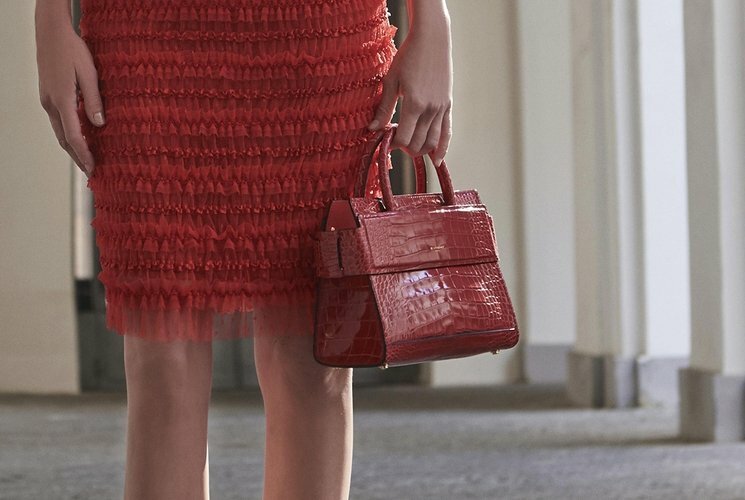 The biggest debut from the collection is the Nobile Bag, which is an unassuming little shoulder bag in two sizes that reminds me a lot of the Proenza Schouler Kent Bag. 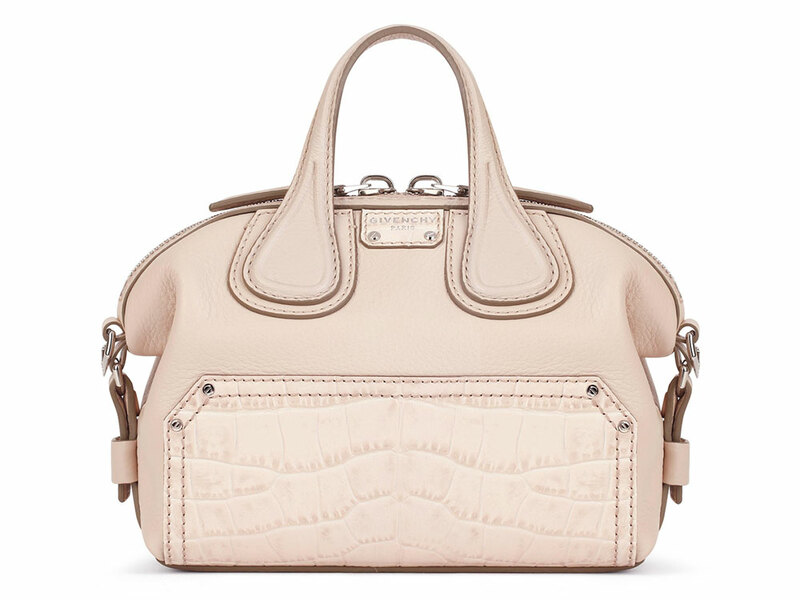 It fills a gap in the brand's lineup toward the bottom end of its price range (the mini is $1,350, according to Neiman Marcus's pre-order, and the small is $1,590), but it does it in a way that doesn't feel especially related to the overall Givenchy aesthetic. If you're more of a traditionalists, all of your old favorites are here, including new takes on the Antigona and Pandora, as well as a particularly attractive (and brand new) wallet version of the Horizon bag.